The number of successful prosecutions brought by councils against fly-tippers has fallen to a record low, government figures show. Local authorities in England secured 1,571 fly-tipping prosecutions in 2016-17, compared to 2,209 in 2007-08, a fall of about a fifth. The government says councils now have more powers to fine fly-tippers. The Local Government Association (LGA), which represents councils, wants to see a "more effective legal system". There were more than one million fly-tipping incidents in England in 2016-17, equivalent to 114 every hour according to figures published by the Department for Environment, Food and Rural Affairs (Defra). Whilst the number of fly-tipping incidents has been increasing, the number of successful criminal prosecutions has fallen to a record low. In comparison, a change in the law has seen the number of fixed penalty notices issued to fly-tippers has more than doubled, with 55,997 notices being handed out in 2016-17 across England. Paul Castle, the service director for Barnsley Council, said cuts to council budgets and the introduction of fixed penalty notices means local authorities can now take a different approach. "We have to clear up 400 tons of fly-tipped waste every year which costs us £300,000 a year. I don't think trying to take every fly-tipper to court works very well. We have a limited amount of time and money and I would say in lots of cases fining people is proving to be an effective deterrent". "Litter and fly-tipping is environmental vandalism," said Martin Tett, the LGA's environment spokesman. "Clearing up fly-tipping is costing councils more than £57m a year, money that could be spent on other services, like caring for the elderly, protecting children or tackling homelessness". He continued: "The government has responded to our call for councils to be able to apply fixed penalty notices for small scale fly-tipping - and this is a big step in the right direction. "When they take offenders to court, councils need a faster and more effective legal system which means fly-tippers are given hard-hitting fines for more serious offences". 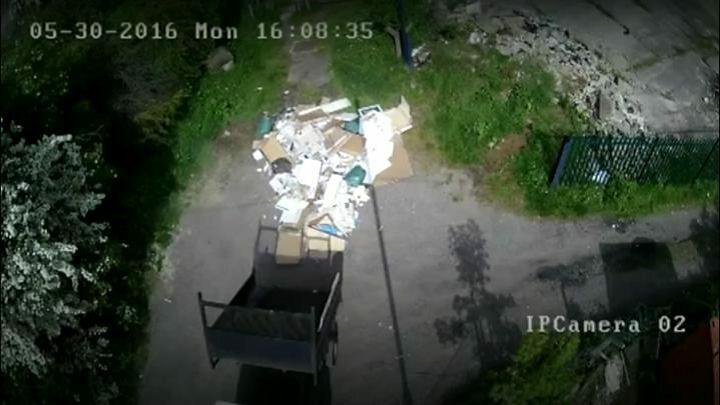 A Defra spokesman said: "Fly-tipping is an unacceptable blight on our landscape, which is why we have cracked down on offenders by working with the Sentencing Council to strengthen sentencing guidelines and given councils the powers to hand out on-the-spot fines to fly-tippers.